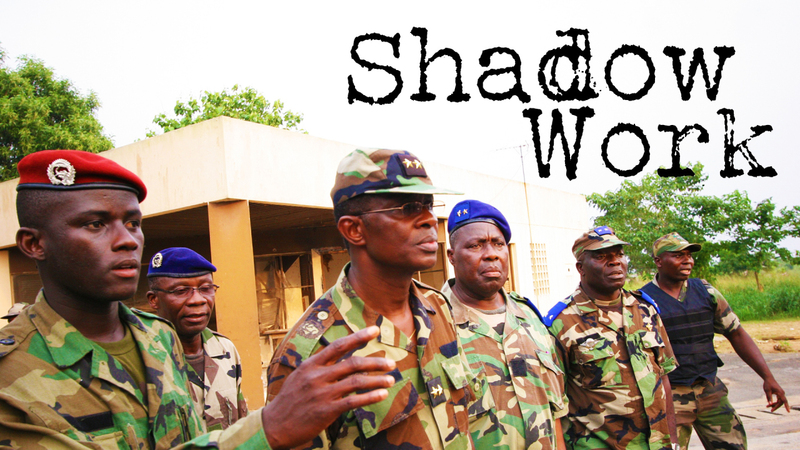 Meet the man behind the political violence in Ivory Coast. For years the electoral process has been held to ransom by President Laurent Gbagbo and his strongman Charles Ble Goude. In this previously unreleased fly-on-the-wall documentary we get intimate access to the powerbrokers behind Gbagbo's iron grip on the country. At the heart of it is Ble Goude who likes to think of himself as Africa's Karl Rove. He's a master of spin and fear, African style. And going on his record, he has the potential to bring about a holocaust in this little nation. "Generation Ble Goude! Generation Ble Goude! For the takeover! For the takeover we are ready!" Ble Goude and a hall of impassioned young Ivorians shout in unison, beating the air with their fists. This is the power base that is holding the Ivory Coast to ransom. In October 2006 the streets and squares of the Ivory Coast were flooded with violent youths determined their man would retain power, "The president will always stay in office ... if they try to remove him ... we will destroy everything". Leaders of FESCI and the 'Young Patriots' whipped them into frenzies preaching hatred of the North, the international community, and especially France. The entire country was about to erupt in civil war over the elections. The New York Times called him 'The General', his enemies call him 'The Machete', and the American government call him a terrorist. But in the Ivory Coast Charles Ble Goude holds all the cards. "They will have to exterminate us to have an Ivory Coast without Laurent Gbagbo", is the rally cry of Ble Goude and his supporters, the powerful student organisations FESCI and the 'Young Patriots', as they resist attempts by the majority Northerners to gain power. 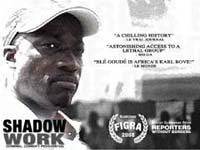 In this film the 2006 Ivory Coast elections are put under the microscope. It examines the origins of the conflict. Where the violence came from and how the leaders manipulated the youth into committing violent acts. This diary of the previous cancelled elections offers a prelude to the climax we reach today. Gbagbo, Ble Goude, ex-Northern rebel and minister of the dissolved coalition Siddiki Konate, and youth organisations FESCI and the 'Young Patriots' are all still the major players in the conflict. As a result this film is crucial to a full understanding of the events unfolding in Abidjan today, as Gbagbo and Ble Goude attempt to keep democratically elected Alassane Ouatarra out of power. Both sides armed themselves for the conflict but the elections were delayed and the conflict was postponed to 2008 when the elections were again postponed. As a result the conflict that would have erupted then has been delayed and is only now breaking out. This documentary couldn't be more current. It paints a picture of a disaster that has been waiting to happen for years. For a few years I worked in the Middle East and Central Asia as a documentary / news cameraman covering conflict. After a while it all started to look the same and mainstream medias coverage wasnt really telling us anything new. I wanted to do something different, no media outlet was focussed on the conflict in Ivory Coast, there was some information but it was vague and misleading. With Shadow Work I wanted to show how these conflicts start. Where does the violence come from? How do the leaders manipulate the youth into committing violent acts? What are the conditions necessary for this to happen? This is what the film is about.